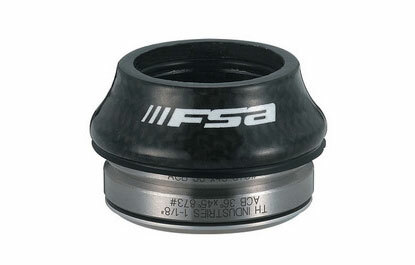 The Full Speed Ahead IS-CF Headset is compatible with Cane Creek style integrated headsets. It has a lightweight, 16 mm tall carbon fiber cover and 36/35 degree angular contact bearings. Weighs 50 grams. 1-1/8″ steerer tube diameter.